In this workshop we will be making a light shade. How different is that! 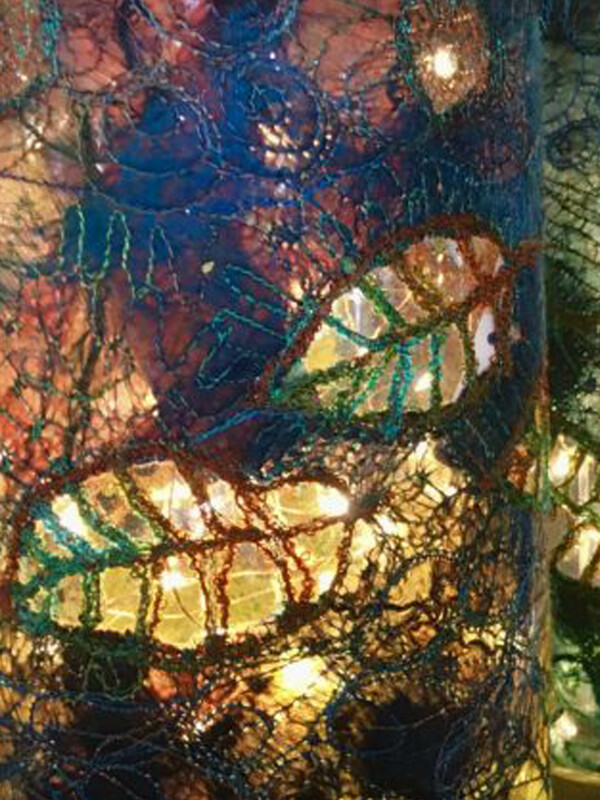 This two day workshop at Threads and Tangles will be exploring stitching and working with silk hankies which are hand dyed silk fibres, the students will be free motion machine embroidering the silk fibre cutting back through the layers and adding lace work stitching and interesting yarns and chords . when the stitching is finished the silk fibres will be shaped around a glass cylinder to create a decorative twinkling light decor. This class will be fun and open up many possibilities.